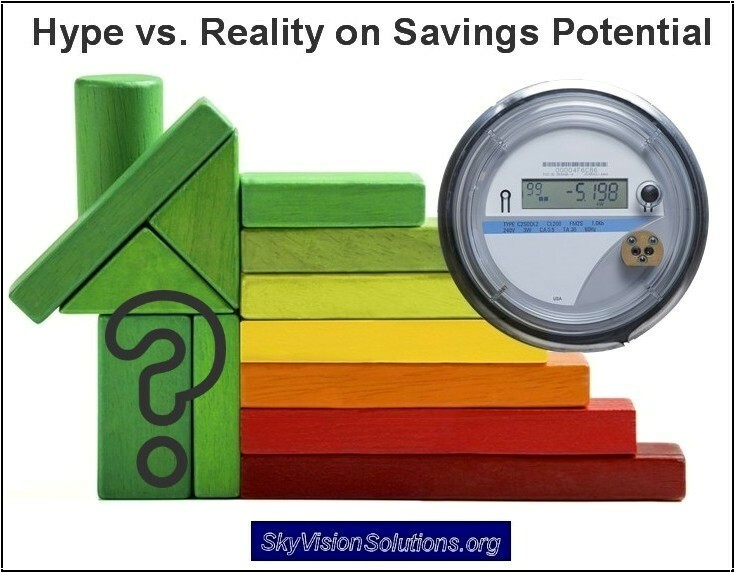 Based upon the above real-life evaluation results, as compared to engineering model projections, customer energy bills did not decline nearly enough to eventually pay for the initial cost of the upgrades. The study findings undermine the rationale for billion-dollar federal and state efficiency programs and call into question a long-held understanding that making existing homes and businesses more energy-efficient are among the cheapest ways to reduce emissions of carbon dioxide. There is an important lesson here on the subject of smart meters. As customers are charged increased rates for installation of smart meters to collect their finely detailed personal usage data, they are told to make energy efficiency improvements in an attempt to offset the cost of the smart meter installations. The newly released study shows this will only lead to more wasted money … and disappointing results for helping the environment as well. Obviously if your home has structural issues with old wooden window frames that are rotting, etc., there are times when it makes sense to make the appropriate repairs. Just don’t be duped by those telling you that tracking your smart meter data combined with energy efficiency upgrades will help you save money in the long run or help the environment. It won’t since we live in the “real world” versus the virtual world of biased computer models. Plus, there is no need to have a smart meter in order to know when it is time to make home repairs or turn off the lights. Copyright Notice © SkyVision Solutions and Smart Grid Awareness, 2013 – 2015. Unauthorized use and/or duplication of material from this site without express and written permission from this site’s author and/or owner is strictly prohibited. Excerpts and links may be used, provided that full and clear credit is given to SkyVision Solutions and Smart Grid Awareness with appropriate and specific direction to the original content. This entry was posted in Smart Grid, Smart Meters, and RF Emissions and tagged Energy Efficiency, Government Waste, Smart Meters. Bookmark the permalink.